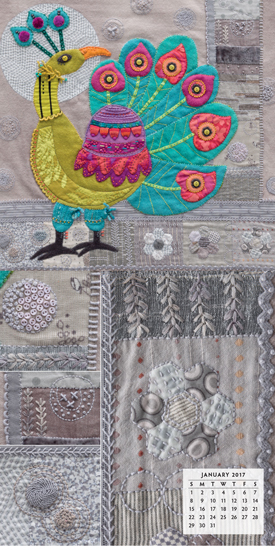 Indulge in another year of beauty, brought to you by acclaimed folk artist Sue Spargo. 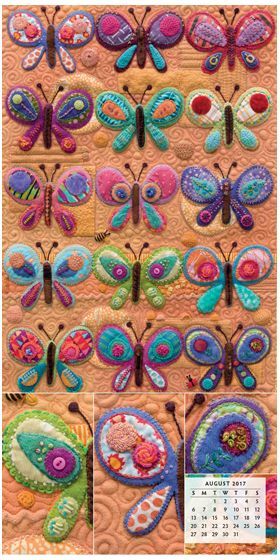 Following her best-selling 2016 wall-art calendar, this all-new calendar of captivating stitcheries explores Sue's distinctive combinations of simple shapes and superb stitches. 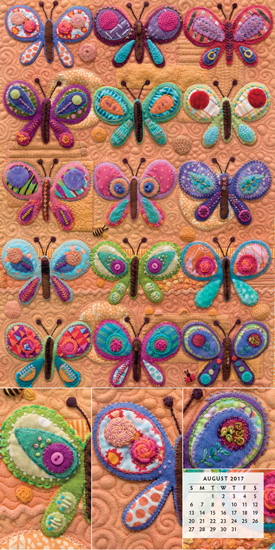 The opulent images of vibrant thread, lush fabric texture, and bright embellishments are yours to enjoy every month throughout 2017. 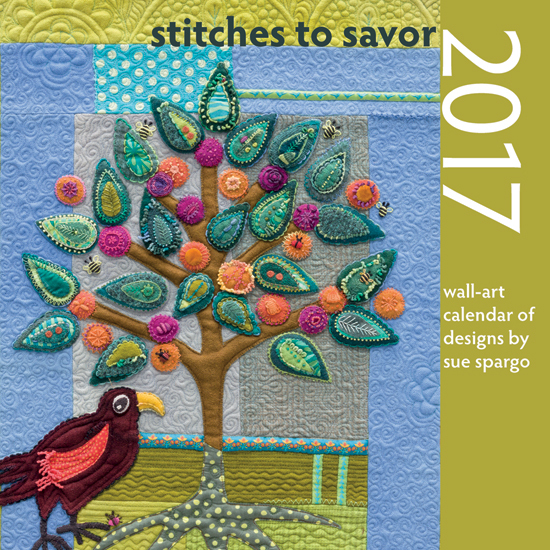 Turning the pages of Stitches to Savor 2017: Wall-Art Calendar of Designs by Sue Spargo will be the highlight of your month as you savor each stunning stitch. *Note: patterns are not included in Stitches to Savor 2017: Wall-Art Calendar of Designs by Sue Spargo. 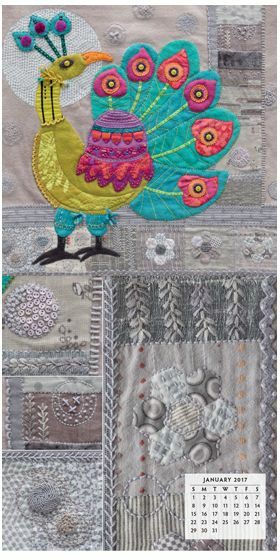 Sue Spargo was born in Zambia and educated in South Africa before moving to England and then to the US. 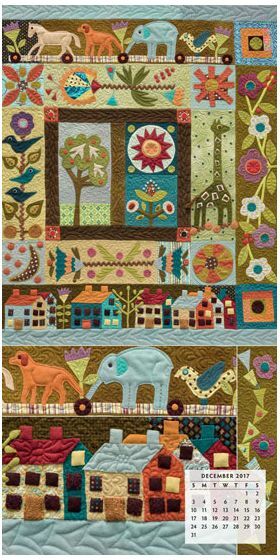 The sharply contrasting environments and cultures she has experienced are a rich source of inspiration for her designs. 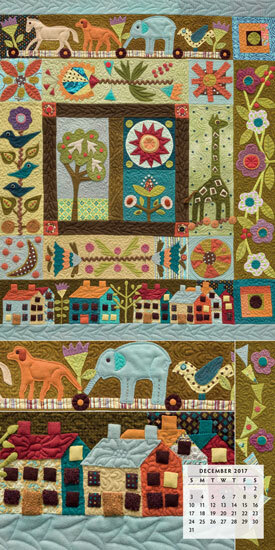 Sue is a prolific designer who enjoys leading workshops, traveling, and spending time with her children. Visit her at SueSpargo.com.